Its been more of a habit for everyone to install an OS from a DVD disk. But today we hardly use any DVD’s and have moved on to USB for higher functionality and ease of use. So, why not use a USB device for installing an OS. Are you thinking is it even possible to install an OS using a USB? Yes it is very much possible to do so with Microsoft’s Windows 7 USB tool. 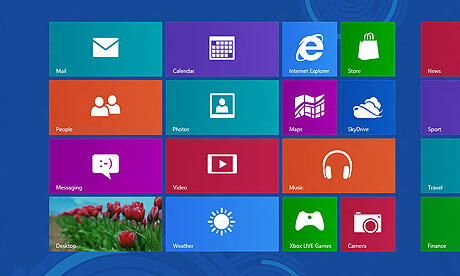 You can download it from Microsoft’s site(download here) . Now we would need a handful of things to proceed further. Firstly, we would need a USB pen drive, minimum of 4GB and higher. We would also need to download the Windows consumer preview disk image (64 bit download here , 32 bit download here). 1. Install and run the Microsoft Windows 7 USB tool. Once the tool opens it would ask you to browse and select the OS that you would want to save in the USB. So, browse and select the OS image that you have downloaded. 2. Now plug in the USB device. Once it is plugged in select the media type to be booted as copy to USB. 3. Now select the correct device from the drop down. Make sure your USB device has a minimum capacity of 4GB. 4. Now all you need to do is wait till the tool formats the USB device, makes it bootable and copies the OS onto it. Now the USB is ready to be used as a bootable device. This process makes it very easy to use a USB and not depend on DVD’s anymore for installing OS. Hi, I am an MBA graduate from Cardiff University(UK) and currently working in Kantar Group in India. I am a technology and gaming freak. I am always on a lookout for the latest trends in technology so I have decided to let people like me be familiar of the same. This is a very simple and sincere effort from my side and I hope my passion invokes interest in others too.